Will Ferrell and John C. Reilly are back in town with their latest installment of crazy antics and very loud yelling in Holmes & Watson. 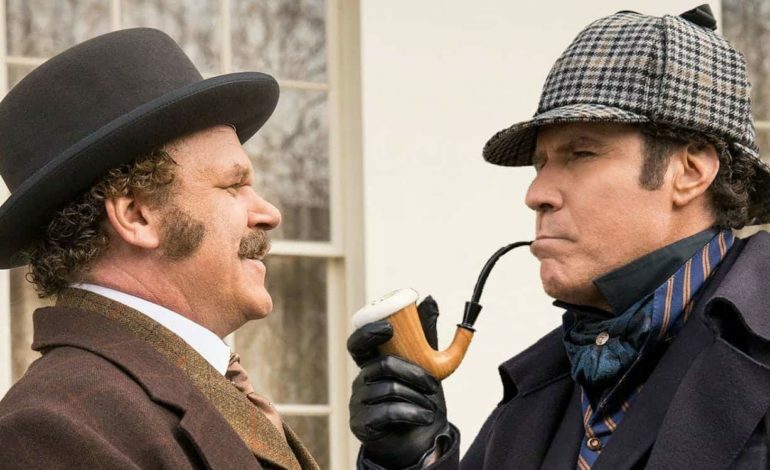 Columbia Pictures reunites the former Step Brothers for a comedy that ventures to show the funnier side of Sherlock Holmes and his trusty sidekick Dr. John Watson. In the trailer, the duo must solve a crime in four days to save the beloved Queen of England. During their investigation, Holmes tries his hand at disguises (successfully according to Watson), terminates a mosquito (although he lets out thousands of killer bees in the process), and takes a “self-portrait” while knocking out the Queen. Thwarting Moriarty’s devious plan will obviously be a no-brainer…literally. Speaking of Moriarty, Ralph Fiennes joins Ferrell and Reilly as the dastardly villain. Rounding out the cast are Kelly Macdonald, Lauren Lapkus, and Hugh Laurie. Director and writer Etan Cohen (Men in Black 3, Get Hard) unifies his own work with the writing of famed author Arthur Conan Doyle for the script. Holmes & Watson is set to hit theaters on December 21. Check out the hilarious trailer below.